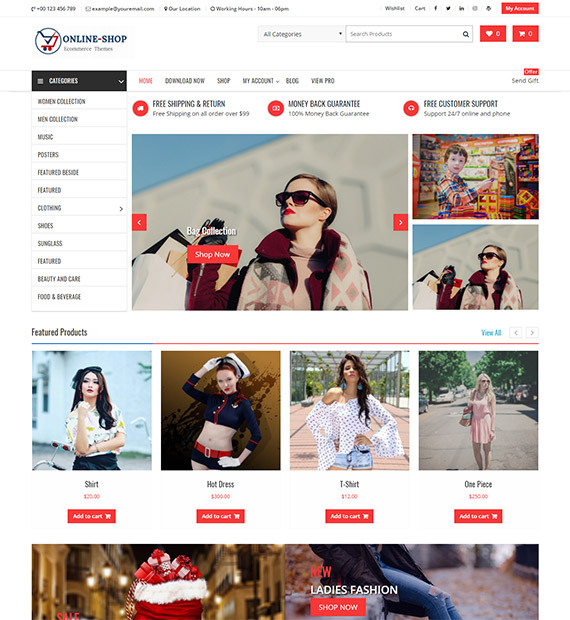 The name gives it away, but Online Shop is an awesome theme made for eCommerce websites. Online shop features an easy-to-use yet powerful customizer, diverse custom widgets and multiple plugins to help design your website for that maximum customer satisfaction. The WooCommerce enabled theme comes with powerful sliders to help feature important products and posts on the web page as well as customized sidebar areas. You can also set up a featured section easily with an unlimited number of pages and comes with extended element options such as header/footer options, copyright options, sticky menu and more. Create amazing and responsive sliders on your website in no time by including infinite number of preferred images. Compatible with the popular WordPress slider plugins.